Antimicrobial resistance is growing worldwide, rendering many "work horse" medicines ineffective. Without intervention, drug-resistant pathogens could lead to millions of deaths by 2050. Thankfully, companies like Pfizer are taking action. Antimicrobial-resistant pathogens are one of the largest threats to global health today. As we get older, our immune systems age, increasing our risk of life threatening infections. Without reliable antibiotics, life expectancy could decline for the first time in modern history. If antibiotics become ineffective, common infections could result in hospitalization or even death. Life-saving interventions like cancer treatments and organ transplantation would become more difficult, more often resulting in death. Routine procedures would become hard to perform. Without intervention, resistant pathogens could result in 10 million annual deaths by 2050. By taking a multi-faceted approach—inclusive of adherence to good stewardship, surveillance and responsible manufacturing practices, as well as an emphasis on prevention and treatment—companies like Pfizer are fighting to help curb the spread. Pfizer's partnerships strengthen their ability to deliver vaccines in developing countries. Susan Silbermann, Global President of Pfizer Vaccines, looks on as a health care worker administers a vaccine in Rwanda. Photo: Courtesy of Pfizer. Pfizer is helping to drive the UN's sustainable development goals through partnerships. Pfizer partnered with AMP and the World Health Organization to develop a training program for healthcare workers. 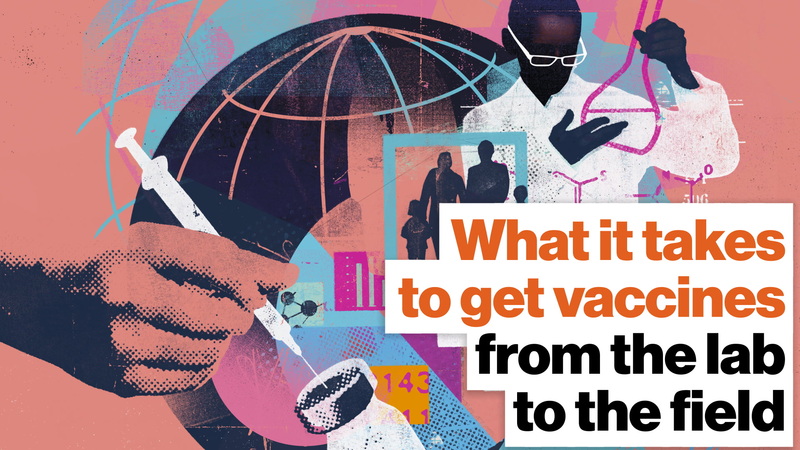 <p>The constraints people face in other countries requires companies to develop more novel and innovative approaches to help improve vaccine access.</p><p>So the question for Pfizer was: Tell us what innovating a vaccine means to you? </p><p>Silbermann brought a vial to show Big Think what innovation looks like. </p><p><em></em>"This tiny vial is an incredible testament to scientific innovation. Until 2017, it provided one dose to vaccinate one child. But now it provides four doses and can vaccinate four children. By combining multiple doses into one vial we have reduced the storage space and the shipping requirements. "<em></em><br> </p><p>Innovations like this multi-dose vial are just the beginning of making it easier to get vaccines to children. Here are a few facts that Pfizer wants to help change. </p><ul><li>Sub-saharan Africa bears nearly 25% of the disease burden in the world.</li><li>It only has 3% of the global health workers. </li></ul>Pfizer feels it's critical to ensure more health care workers are trained on how to administer multi-dose vaccines. A health care worker administers a vaccine in Malawi. <p>When Pfizer's new multi-dose vial (MDV) became available in 2017 in <a href="https://www.gavi.org/" target="_blank">Gavi countries</a>, it was a priority to ensure health care workers were properly trained. For this, Pfizer partnered up with the AMP and the World Health Organization to develop a pneumococcal conjugate refresher course and new training program for the multi-dose vial. </p><p>As part of the partnership program, Pfizer developed a "train the trainer" model that is a tiered system of training. For example, "master trainers" will go on to train the next round of health care workers. </p>Last year, Pfizer trained over 27,000 health care workers across 15 different countries. And this year, it's extended the program to an additional nine countries with the goal of reaching an additional 17,000 new health care workers by the end of the year. Why is Pfizer so committed to vaccines? 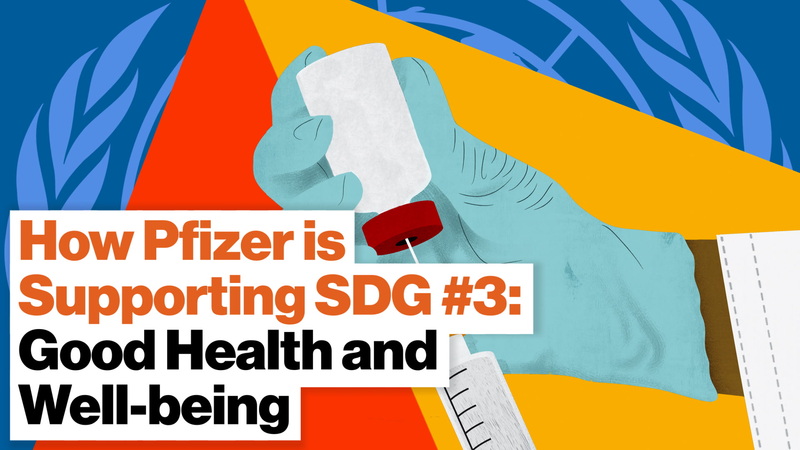 Pfizer's commitment to the UN's SDG #3, Good Health and Well-being, is exemplified by its mission to improve global health through a combination of local and global programs catalyzed by innovative health leaders. In 1998, Pfizer embarked on a 22-year mission to eradicate trachoma by 2020.Trachoma is an infectious eye disease that can cause irreversible blindness or vision impairment. So far, it has been eradicated in six countries. Pfizer Corporate Responsibility develops programs that help expand global access to medicines by providing direct assistance to underserved populations. Our initiatives include providing product donations and steep discounts that help patients access the medicine they need. We also collaborate with Pfizer business teams and nonprofit organizations to help shape sustainable business models that address affordability and the vast differences in economies around the world.